Eye shadow brushes are one thing that I haven't bought extremely good quality for. Because I use a lot of urban decay palettes I use them quite a lot and they aren't very good considering the shadows. First I need to tell you I love the background of the photo, one of my bedroom's walls is panted very similar, only the stripes go vertically (very random weird comment). I always want to try new Mac brushes because Im know they are great quality, but I never know which one to get! 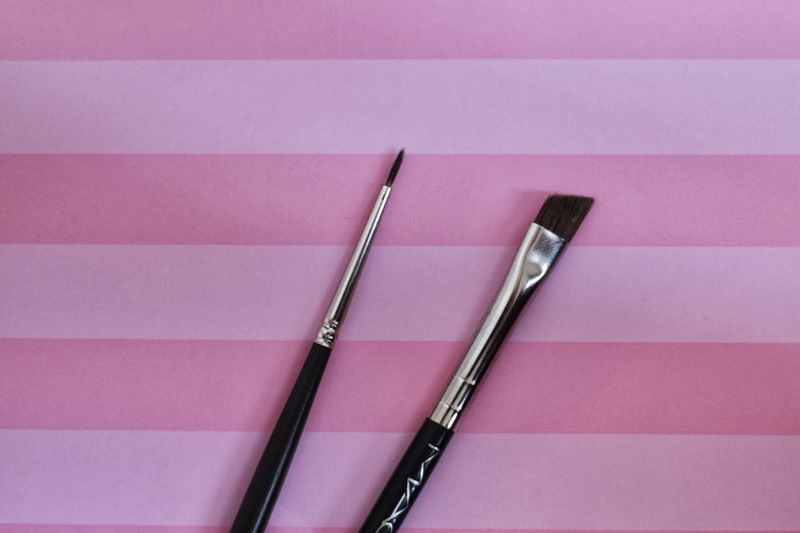 I've literally been on a hunt for a lovely liner brush and a good angled brush, you've sold them to me!